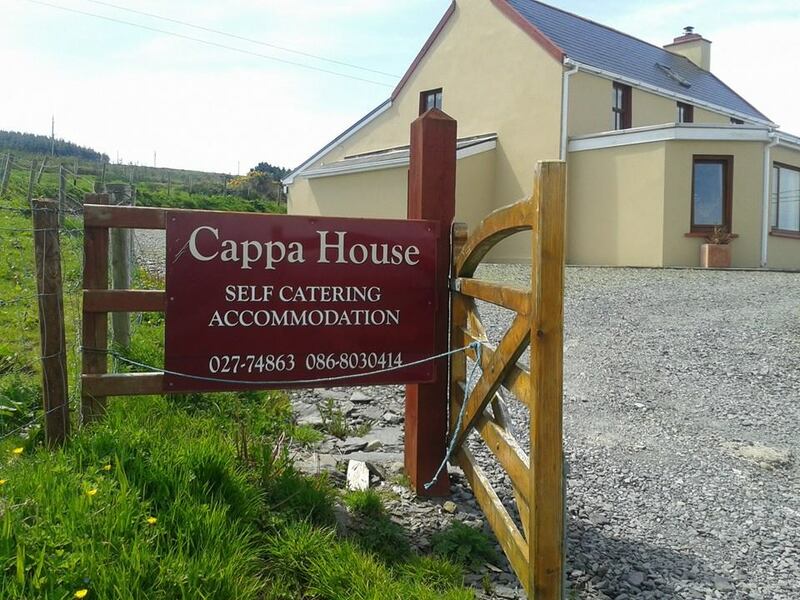 Cappa House is a recently renovated farmhouse, on the Beara Way Walking Route and Wild Atlantic Way, located approx 1.2 miles from colourful village of Eyeries, with stunning sea and mountain views. The property has 3 en-suite bedrooms including master bedroom with sun-room. There is a large modern well equipped kitchen/dining room with oak units and a utility room for laundry, storage etc. The open plan living area has a large stone fireplace with a wood burning stove for those chilly evenings. Leading off this area is the front sun room with breathtaking views over Coulagh Bay where you can sit in the evening and enjoy the dramatic sunsets. Also on the ground level is a large family bathroom. The master bedroom is also located on the ground floor and along with an en-suite shower this area also has its own sun-room with views over to the village of Eyeries and can accommodate extra guests with a pull out sofa bed. Bedrooms 2 and 3 on the first floor are also both double rooms with en-suite shower rooms and are flooded with light as both have 2 windows each and 10 ft high ceilings. The farmhouse is 5 miles from fishing port of Castletownbere and 9 miles from Allihies village on the Ring of Beara. The Beara Way walking route passes through part of farm.